We woke-up early at around 5.30 am so as to avoid heat and to trek faster. As we stayed near to plateau where Ravlya-Javlya located, we directly started walking on the plateau from the left edge (keeping Ravlya on right side). En-route there were jungle of Karvand which we enjoyed a lot. It took us 30 minutes to reach exactly in between Ravlya and Javlya. There were 3-4 abandoned houses which now uses as shelter for cows. We read on the trekshitiz that for climbing Ravlya, one requires rock climbing. We were unable to do that so we decided to climb only Javlya which is easier to climb. Before that we searched for water tank which is near to those houses. On Wikimapia, these tanks are also shown. But there is some confusion with naming of the forts . There is clear mismatching between the content given in Wikimapia and Trekshitiz. Here I followed Trekshitiz naming for the forts. Confirming the directions, we started walking towards Javlya. We were busy searching the correct route when one shepherd appeared from nowhere. Lucky for us!!! We asked him about the route to Javlya and also route to Ravlya. Route to Javlya is easier. When we asked about climbing Ravlya, shepherd told us that the climbing patch of Ravlya is now secured with iron grilles. You can easily climb it. This was new and good information for us!! Route to Javlya starts from ascending a small hill and then traverse for a while. On the traverse we found some caves. Probably Buddhist caves. At the end of traverse, rock cut steps starts which leads to the top of the fort. Steps to be negotiated carefully as some steps have been broken; some are exposed to valley. Entrance to the fort is still somewhat intact. 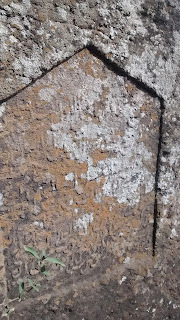 Near the entrance there is farsi script carved on stone. There are lot of remnants on the fort. 5-6 water tanks with some having potable water. The view was amazing from the top. You can see Dhodap. 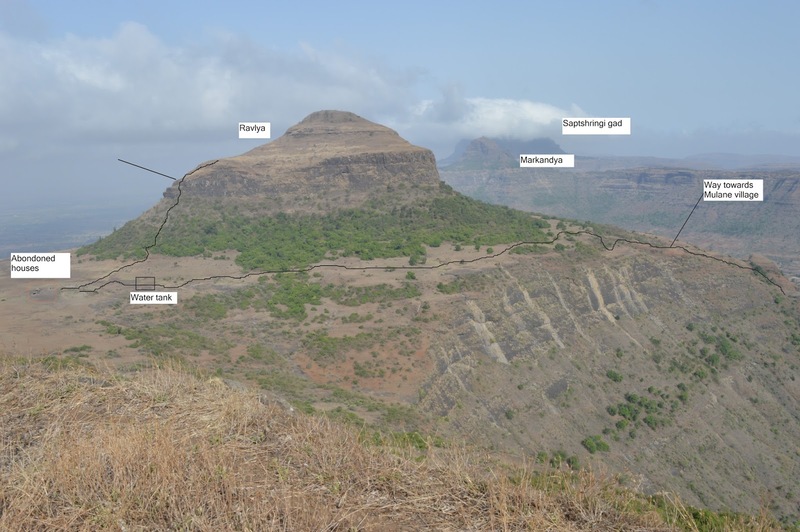 Ikhara pinnacle, Kanhergad, Markandya , Saptshringi clearly. Plateau on which Ravlya-Javlya stands. In the center, you can see houses. Spending some time on the fort, we started descending. It took us 2.5 hrs to climb and descend the fort. We decided not to climb Ravlya because of time constraint. Still I am giving route to reach Ravlya. Our next target was Fort Dhodap. We first reached to abandoned houses and then started towards Mulane village. Route is well trodden.In the middle of the route , we again greeted by same shepherd. 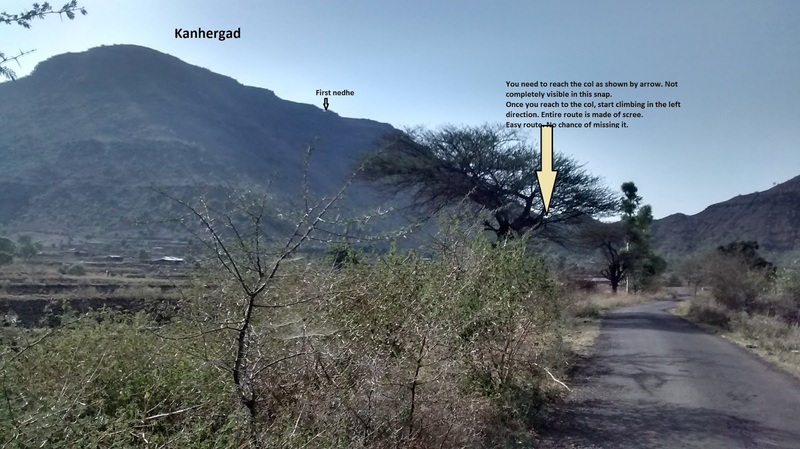 We inquired about the Dhodap fort and he told that we shouldn't have come to Mulane route. 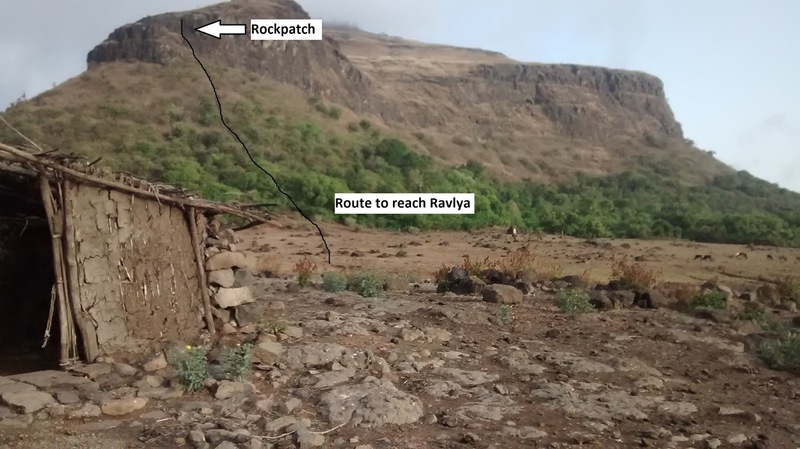 After ending rock steps of Javlya, if we descend further more and then follow the ghal route towards right side, we could have descended to the Wadala bhoir village. From there , it is convenient to reach the base of Dhodap. From Mulane, it is difficult to get vehicle towards Dhodap. So we skipped the plan and opted to climb Kanhergad. It took us 2 hrs to descend down completely to the Mulane village. We had small snack session there. We needed to reach Narul village. It is 3kms from Mulane. Luckily we got bus within 5 mins of waiting and alighted at the Narul phata. Narul phata to Kanherwadi(base village) is 4 km. We kept our bags at a villagers house and started walking towards col from where we needed to start climbing the fort. Entire route is made up of scree. Harsh heat made it worse for us. Fort is easy to climb. It took us 1.5 hrs to reach at the first nedhe( needle hole). I was completely drained. I was not willing to continue. So I decided to rest in the nedhe. All other also stayed there. It was amazing place with cool breeze. We ate there and rested for an hour. I felt refreshed due to rest. Within 5 minuted we reached on the top. 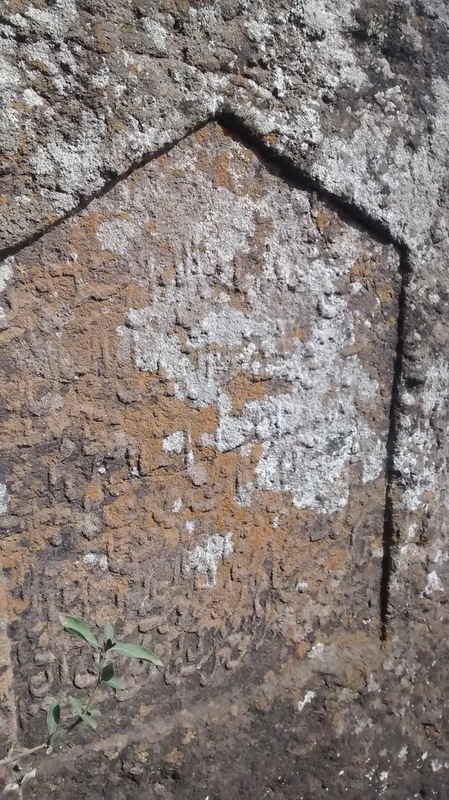 There are many remnants on the fort, one temple, water tanks and square shaped nedhe at the extreme end( this end resembles like vinchu kata of Lohgad ). Spending some time, we started descending. It took us another hour to reach Kanherwadi and another 40 minutes to reach on the main road from where we gonna get the vehicle to reach our next destination ; which was Taharabad. We had cold-drinks in a shop on the main road. Fortunately we got a truck who took us directly to the Taharabad. 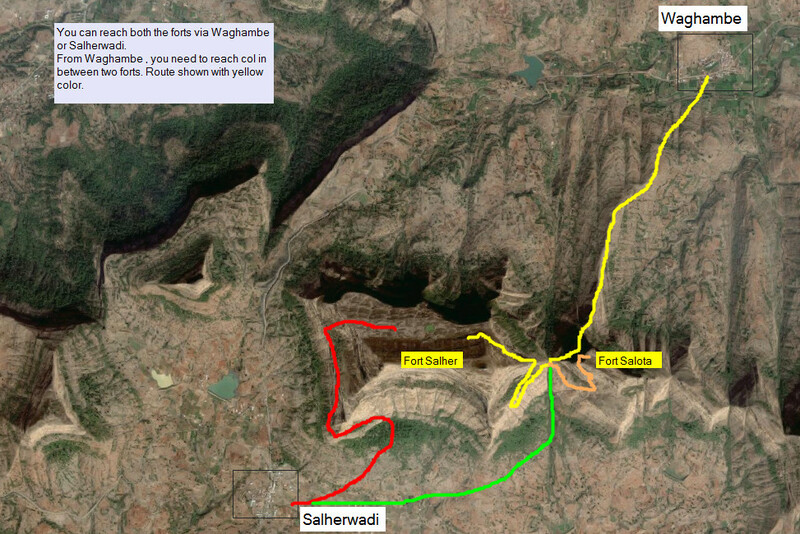 Otherwise we would have to reach Kalvan first and then take a bus towards Satana or Sakri. It saved our time a lot. We reached Taharabad at 6.30pm. We were hungry so we started searching hotels. But there were limited choice. Fortunately one middle age person guided us to the home-made food. That aunty runs mess. We were so happy to get homely food. She cooked Shev-bhaji, chapati and khichadi, the ultimate Khandeshi menu!!!! After heavenly dinner,we searched one temple for our night stay in the Taharabad. But due to security reason, we slept at a temple, which was exactly infront of the aunties house. We kept our bags in their home and slept with peace!!!! !